While you might think that the kitchen is the most commonly renovated room in the home, the bathroom runs a very close second. In some cases, it surpasses the kitchen as more and more homeowners realize that their bathrooms can be so much more than mere utilitarian space. If you’ve been bitten by the remodel bug, you’ll want to know a few things about bathroom renovation trends, bathroom accessories, and all the rest before you push forward. While you might think that luxury bathrooms have to be large and spacious, that’s not the truth. 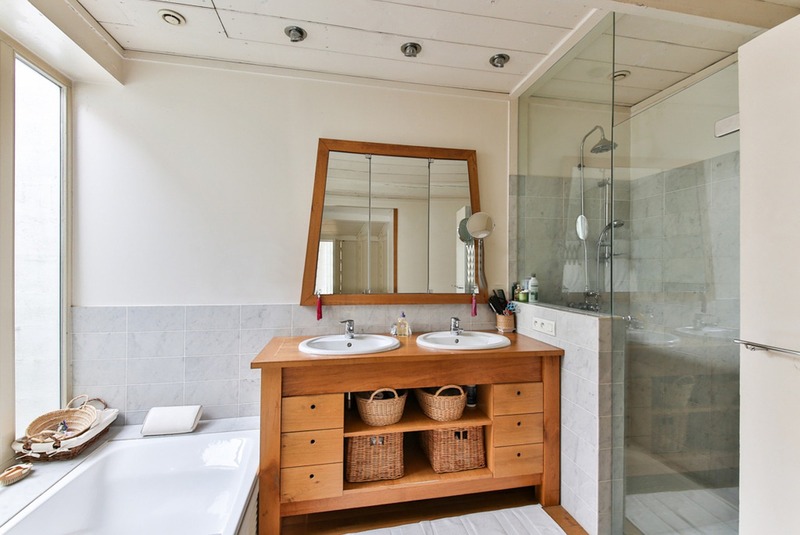 In fact, a smaller bathroom can be just as high-end with the right bathroom accessories and fixtures. For instance, rip out that old stand-up fiberglass shower and replace it with a custom tile and glass job. Line the back of the vanity and wall with a custom tile backsplash. The key to turning a small bathroom into a luxury space is to go in with a strategy and make use of all available space. Once upon a time, a toilet was just another fixture for most bathrooms. Today, that’s not the case. Modern technology has enabled toilets to become incredibly comfortable and easier to use. You’ll find a host of new features and capabilities out there, from simple things like double-button flush capabilities to save water to seat warmers to take the chill off on winter mornings. Some even come with Bluetooth capabilities so you can stream your favourite music, or an automatic lid opener in case you don’t feel like bending down. When you think about modern bathrooms, chances are good you imagine brushed nickel or chrome fixtures. That’s natural – cooler, reflective metals have ruled the design space for many years. However, warmer metals are beginning to make a comeback. Don’t look for gold light fixtures just yet, but you will find that many bathroom accessories now offer gold-tone or brass accents to add a touch of vibrancy to the bathroom. Another trend with today’s bathrooms involves the increasing use of technology. We’ve already discussed high-end toilets, but it goes much deeper. For instance, you’ll find vanities with warming drawers for towels and robes. You’ll find undercounter appliances that remain tucked out of sight until you need them. Wireless music systems and hidden televisions are becoming more and more commonplace, as well. Even beverage centres are being installed in bathrooms these days, allowing you to slake your thirst while you take care of your other needs. As you can see, there are quite a few interesting trends when it comes to today’s bathrooms and bathroom accessories. The most important thing is to work with a supplier capable of delivering the right fixtures and features for your needs, and your budget. We invite you to explore the Bathroom International website, or come down to our Perth showroom in person to explore what we can offer. Are You Buying Bathroom Furniture Online?